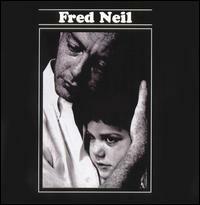 Fred Neil was an influential American singer-songwriter. Fred Neil's epoymous second album (third overall if you count his collaboration with Vince Martin, Tear Down The Walls) came out in 1966, when the folk-rock and singer-songwriter genres were taking off - it’s often considered an important album in the development of both genres. Leaving the tradition of folk songs as protest music behind, its lyrics focused on more personal and introspective matters. Indeed it was here that he made the transition from 'folk singer' to 'singer songwriter', being among the first to do so. The sound of the album was moody, bluesy and melodic, based around Neil’s rich baritone voice and layers of shimmering acoustic and tremolo electric guitars. The backing musicians consisted of Pete Childs, John Forsha and Cyrus Faryar on guitars (and bouzouki), Jimmy Bond on bass, and Billy Mundi on drums. Also featured Alan Wilson of Canned Heat on harmonica. All songs were Neil originals, and included the classic “Everybody’s Talkin’” (which was a hit for Harry Nilsson three years later). Also notable is the final instrumental track, with its psychedelic raga-esque groove. Nowadays the album is considered a true classic, and is undeniably Neil's greatest work. That's where the aurawave and its exponent as a TENS nuisance substitute, and how does it function? The galvanising pulses likewise describe lineage to the afflictive region and increment circulation, which helps the recuperation action if the pain sensation signals existence sent to the tegument through electrodes.